A love story is meant to be special, especially when it features newcomers. In case of Notebook, Zahir Iqbal and Pranutan Behl are the two new talents being launched by Salman Khan. 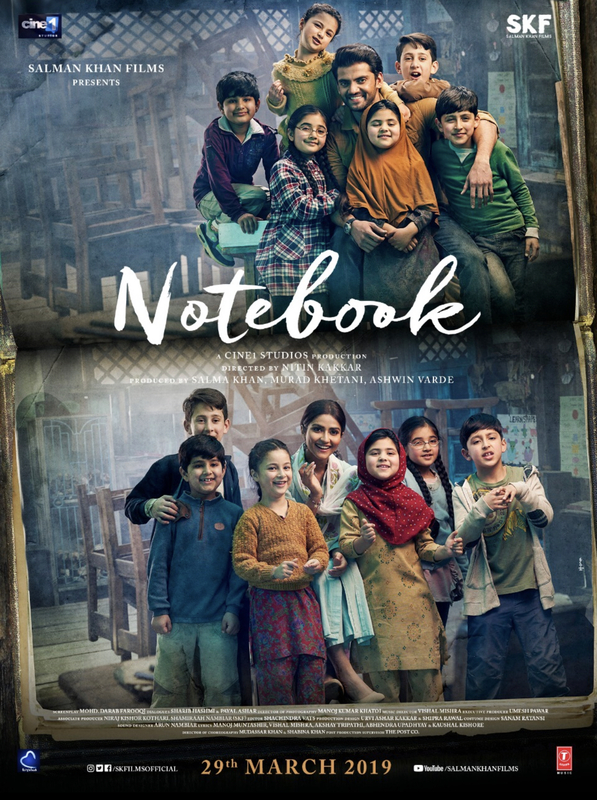 It is about a couple which has a notebook as the connecting factor and the love story that develops due to that. With the picturesque Kashmir setting to it, one expects some great visual appeal as well. Well, you do get visual appeal in Notebook but when it comes to those moments that tug your heart strings, there aren’t many out there. Of course the film plays quite simply with no real dramatic moments out there that would make you wait for the next scene with bated breath. However it is this very simplicity and innocence that also makes the entire narrative just about okay as you aren’t really taken through a roller coaster ride by director Nitin Kakkar. Nitin has made a couple of other films in the past – Filmistaan and Mitron. None of these two films has done well at the Box Office, though former was critically acclaimed and latter was appreciated too by those who watched it. Notebook turns out to be rather lacklustre and the main reason for that is the fact that you don’t quite root for the two youngsters . Yes, their story is quite unique but still there isn’t that kind of excitement created on screen that you start cheering for their togetherness. In fact the sequences which bring a smile on the face are the ones featuring the kids. There is something really endearing about the way some of the kids bring in chuckles. However, by and large you stay on to be passive in this journey taken by Zahir and Pranutan. Though there was scope for the love story to really work well with the audience, an overall dull flow of events don’t quite help the cause.